Some savvy smartphone users in the U.S. are upset that carriers in the states aren't offering Huawei handsets to their subscribers. That is because the U.S. government considers the world's third largest smartphone manufacturer (or second, depending on the source of the data) to be a national security threat. Lawmakers in the states fear that Huawei devices and its networking equipment contain "back doors" that send information from consumers and corporations to the communist Chinese government. So far, the U.S., New Zealand and Australia have banned carriers in their own country from using the company's 5G networking gear. National security laws in China require companies based in the country help the government gather intelligence. However, according to Bloomberg, Huawei chairman Liang Hua says that the company is not legally obligated to spy on other countries. The executive says that he received an independent legal opinion that says Huawei does not have to create a "back door" for its devices even if asked to by Beijing. Through a translator, the Huawei chairman said that the company has never been asked to spy by the Chinese government, and wouldn't do so because it would be illegal. He stated that Huawei is an independent organization with a good cybersecurity track record. 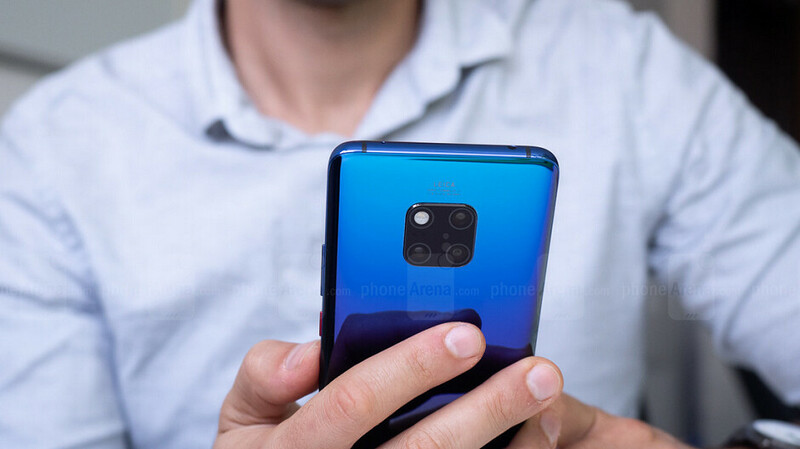 However, some of the optics for Huawei do not look good. For example, the company faces a criminal trial in the U.S. for stealing tech secrets belonging to T-Mobile's "Tappy" phone testing robot. T-Mobile has already won $4.8 million from the manufacturer resulting from a civil trial over the matter. There are also other indictments related to bank fraud that the company's CFO, Meng Wanzhou, allegedly committed in order to cover up business that Huawei reportedly had with Iran. The country is under U.S. economic sanctions. Meng, the daughter of Huawei's founder, was arrested in Canada late last year on a U.S. warrant. She faces extradition to the states. Because of this tension between the U.S. and Huawei, in January 2018 plans for AT&T and Verizon to offer the Huawei Mate 10 Pro were canceled. Since then, U.S. carriers have missed out on well-received models like the Huawei P20 Pro and the Mate 20 Pro. It also means that U.S. consumers won't find the upcoming P30 series available from their local wireless provider, nor the foldable 5G enabled Huawei Mate X. Despite the lack of any partnerships with AT&T, Verizon, Sprint or T-Mobile, Huawei still expects to be the world's largest smartphone manufacturer as soon as this year. Defying an all powerful communist government. I'm sure these guys will. What could possibly go wrong? CEO dead next day... "plane crash accident"
While the relationship between Huawei and Chinese government was historically horrible(partially due to their grudge against ZTE, the state-owned company which is also an arch enemy of Huawei), I'm not quite sure if Huawei could REALLY defy the government if they were asked to hand over user datas to them. In China there's a law that forces companies to help the government if necessary, after all. And that law is only valid in China. It does not cover other countries. Targeting Huawei: NSA Spied on Chinese Government and Networking Firm. spon.de/aebXf From 2014. NSA stole Huawei source code coz "many of our targets communicate over Huawei produced products, we want to make sure that we know how to exploit these products." American government is not evil. America is the qualified world police. Come on liang hua, defy your government? You're lucky if you don't get an "accident" if you disobey your leaders. Defy for what. Oh please, they already beat the system, their phones be coming to the USA as rebranded Oppo phones. They are smarter they many think. Just look at Oppo's new phones, the foldable is a rebadge Huawei Mate X and the other is a rebadge Huawei Honor Magic2 with beefed up specs. So technically speaking Huawei will be in USA this year lol. No defying anything, only Smiles at Trump, in EngRRish (with the R). What oppo phone model that being rebadged Magic 2?? Find X?? If that is the case... Find X had more advanced slide mechanism and design than Magic 2, also revealed and released 3-4 months before Magic 2 got revealed. Oppo phones are owned and made be BBK electronics. So how does that help Huawei "be in USA this year"? Alan F's daily Huawei smear campaign continues. On another note, Trump has declared German cars a national security threat even though many are made in the US by US workers for use in the US and export to China. Honestly you can't make this $hit up. That's funny: defying a dictatorship... :)) Well, if Huawei has the power to overthrow the Chinese government, they can defy all they want, if they don't, they'll be a communist puppy, just like they have always been. How is that any different than Trump and US government? In USA every company can simply ignore a illegal law and it can tell Trump that (just like Apple did with Obama). There are fair accusations to Huawei, but none of them concerning security — just fear, suspicion and greed.